"I received this recipe from my friend Joyce three years ago, she in turn got it from a elderly southern lady. It is a real classic Southern style pecan pie and is very pretty too!" I dont know what I did wrong but, the consistency was awful. It was like pecan pie soup....The flavor was good so I gave it 3 stars. 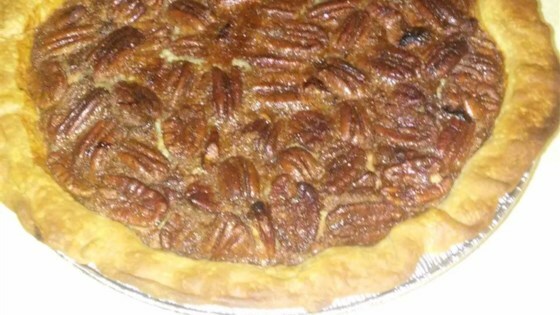 This is a great pecan pie recipe, however I would not recommend going with a store bought pie crust it comes out much better with the crust recipe listed plus it is much tastier.